Direct quote from Lara who just had a workplace snack of my salsa: “It is so good I would drink it”…followed 5 minutes later by: “I may have licked my plate”. I think that means my salsa is good! As you know if you have been reading my blog, I have been obsessed with the tomatoes from Ward Berry Farm that we have been buying at the Boston University Farmers’ Market every Thursday. Last week I bought my pint with salsa specifically in mind! Then Lara brought me the remaining zebra tomatoes from her garden, and Ryan picked my remaining peppers, so it was game on! 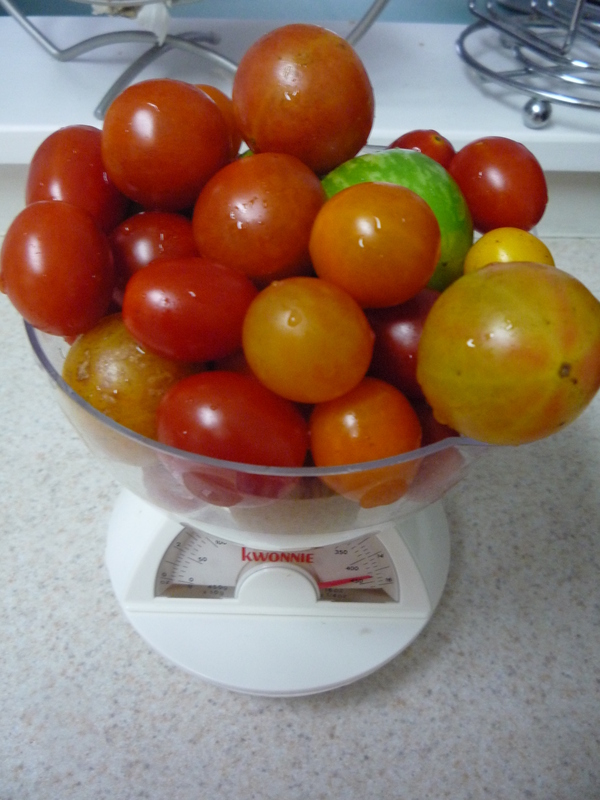 Put your tomatoes in the food processor. Pulse it on low until the tomatoes are about 1/2 the original capacity. Add the lime, pulse a couple of times. 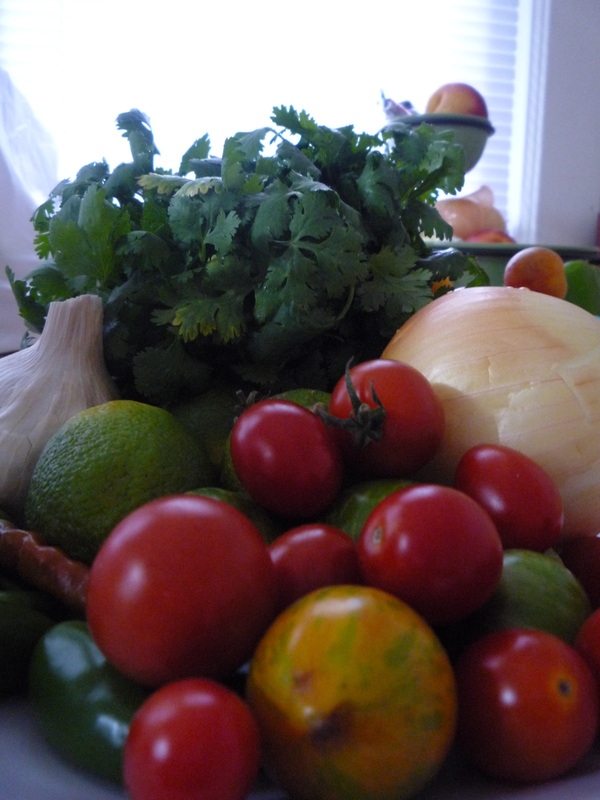 Add salt to taste and pulse until the salsa is the consistancy you like. Refrigerate for a minimum of 1 hour. The longer you let it sit, the better the flavors meld. 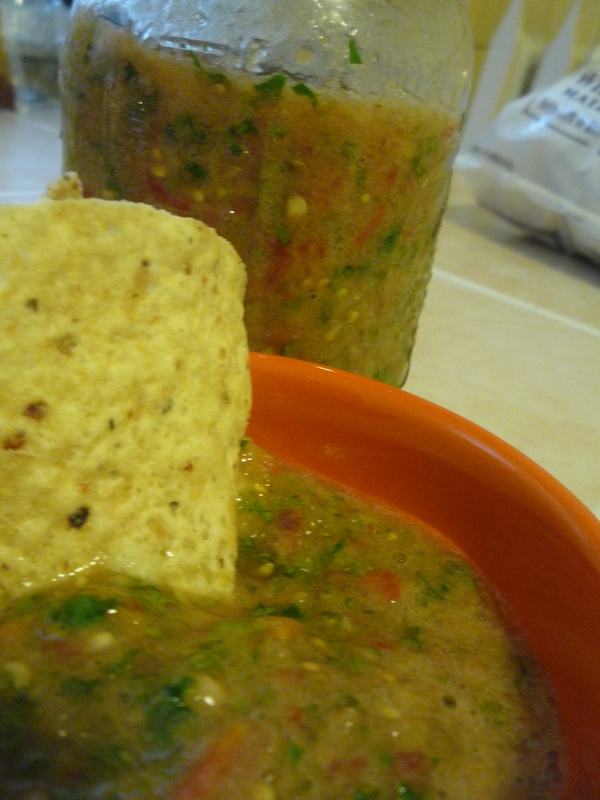 This entry was posted in Recipes and tagged peppers, recipe, salsa, tomatoes by reneeh. Bookmark the permalink.